Cities are shaped as much by a repertoire of buildings, works and objects, as by cultural institutions, ideas and interactions between forms and practices entangled in identity formations. This is particularly true when seen through a city as forceful and splendid as Venice. 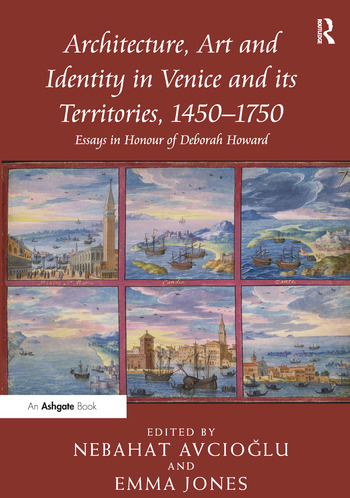 The essays in this volume investigate these connections between art and identity, through discussions of patronage, space and the dissemination of architectural models and knowledge in Venice, its territories and beyond. They celebrate Professor Deborah Howard’s leading role in fostering a historically grounded and interdisciplinary approach to the art and architecture of Venice. Based on an examination and re-interpretation of a wide range of archival material and primary sources, the contributing authors approach the notion of identity in its many guises: as self-representation, as strong sub-currents of spatial strategies, as visual and semantic discourses, and as political and imperial aspirations. Employing interdisciplinary modes of interpretation, these studies offer ground-breaking analyses of canonical sites and works of art, diverse groups of patrons, as well as the life and oeuvre of leading architects such as Jacopo Sansovino and Andrea Palladio. In so doing, they link together citizens and nobles, past and present, the real and the symbolic, space and sound, religion and power, the city and its parts, Venice and the Stato da Mar, the Serenissima and the Sublime Port. Dr Nebahat Avcioglu is Associate Professor of Art History at Hunter College, CUNY, USA. Emma Jones is a PhD Candidate in the Department of History of Art at the University of Cambridge, UK.